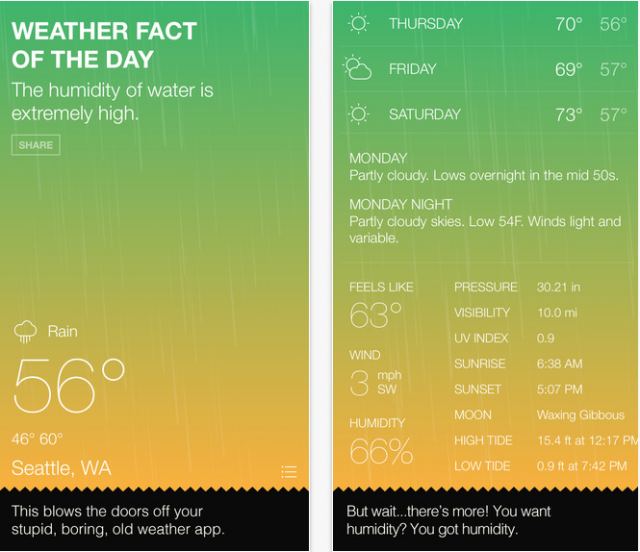 FOD Weather App | Business Cloud Inc. The app provides with you with a fresh joke every time you refresh as well as a quick access widget in your notification center. 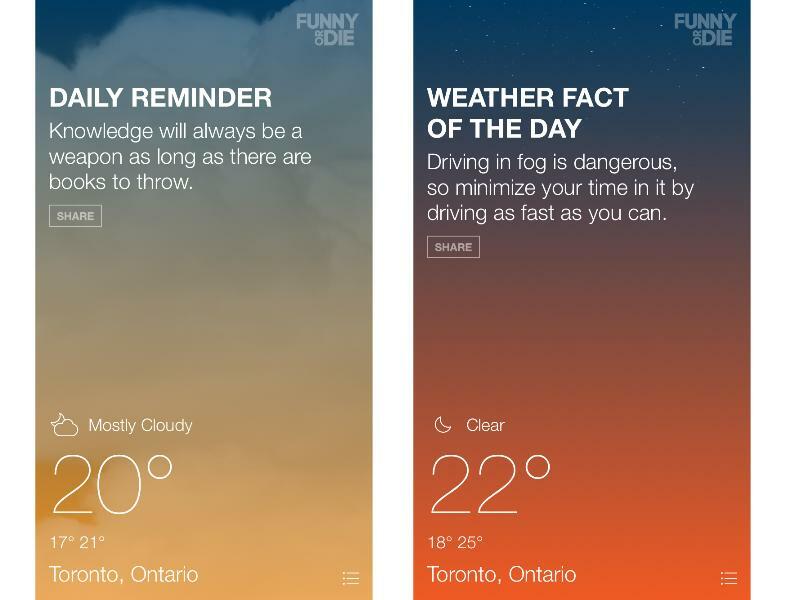 The jokes can be shared on social media or sent as a text message, whereas the forecast which comes from the Weather Underground, an affiliate of the The Weather Channel, predicts 5-Day forecasts, barometric pressure, wind speed and direction, humidity, UV index, sunrise and sunset, phases of the moon, tides, and perhaps the most important information for Canadians during winter time – what it actually feels like outside!